Over 2 billion people in the world are connected through social media, with 20% of the world’s internet users having an active Twitter account. Twitter is a great platform to boost your business. We at Breckshire LLC Digital Marketing Solutions are equipped with the knowledge and resources to help you reach your customers through Twitter. 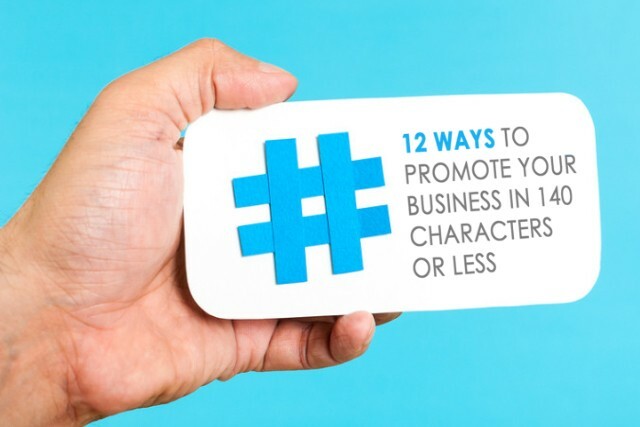 Here are 12 ways to get started in promoting your business on Twitter today! You want every tweet to be unique and attractive, Twitter cards are a great way to do this! If your Twitter followers are engaged and well targeted, increasing their number can benefit your business. When you engage with influencers — you’re creating the opportunity to gain more followers, more engagement, and more traffic to your website. As you follow and connect with higher numbers of people, you need to organize them by categories. Use Twitter ads for lead generation by directing them to sign-up to your email list. Be careful with the hashtags you choose. It may seem that cramming as many as possible is the way to go, but studies show that posts with 1 – 2 hashtags have higher engagement than those with 3 or more. Find out who your competitors are interacting with. Use tools that let users set up search columns so any mention of a particular word or phrase is immediately highlighted. UTM tracking adds additional info to links you share in order to track where people clicked on them and what happened after they clicked. Twitter allows you to pin one tweet at the top of your timeline. When anybody looks at their profile, they see that tweet first. Create clever headlines that stand out. Twitter Analytics let you see how many views and how much engagement your tweets get. Want to learn more? Let us help you optimize your Twitter!